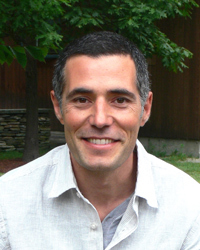 Alexis Santos has practiced Insight Meditation in India, Burma and the US since 2001. He met Sayadaw U Tejaniya in Burma in 2003 and has been his long-time student, including several years of training as a Buddhist Monk under his guidance. Alexis' teaching emphasizes knowing the mind through a natural and relaxed continuity. He brings a practical, intuitive and compassionate approach to the development of wisdom. He has completed the Spirit Rock/IMS Teacher Training and can be found assisting retreats throughout the US.